Book Outlet is quickly becoming one of my favorite places to buy books. I'll often find books I want for 50% off or more. 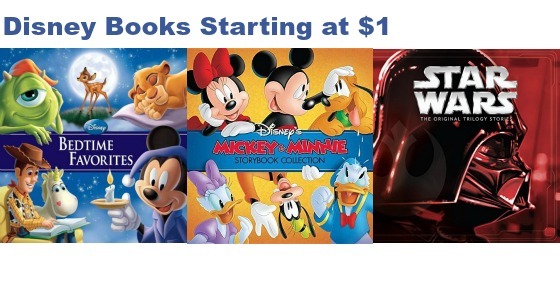 Right now they are running a sale on Disney books where you can save up to 65% on list prices. Also keep in mind that these are the NEW prices. If you are looking at "scratch and dent" (used), you can save considerably more. Quantities are limited on all of these (some are down to only 1 copy left) so shop fast! Plus, get 5% cash back at Book Outlet from Sunshine Rewards.